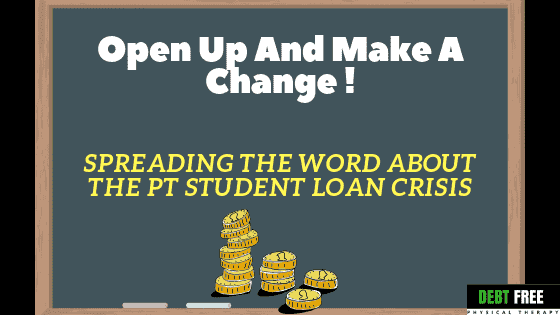 The only way people will know about the PT student loan crisis is if we speak up! 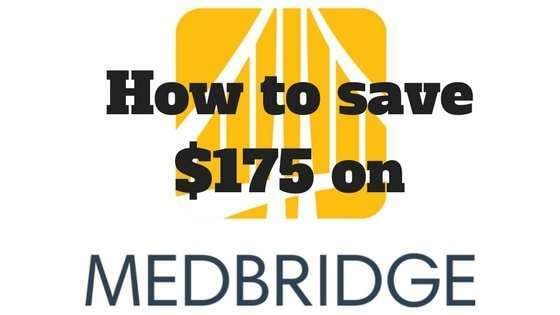 This is the first step of redirecting your PT education and career towards the path of student loan and financial freedom. Today, you are going to learn how to start taking back your life and how to become debt free as a PT! 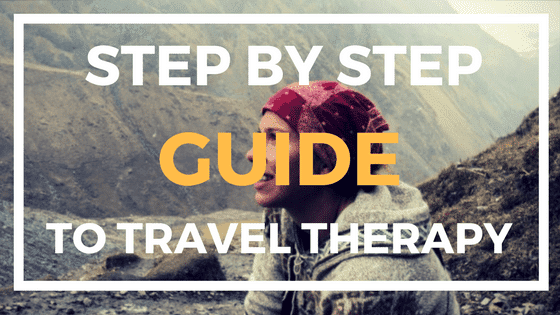 Navigating life as a physical therapist is not easy. You work your tail off in school only to graduate with hundreds of thousands of dollars of debt in our name. Then, you work your tail off as a physical therapist, making half the salary of any other doctor out there! Quickly you realize that there’s no way you are ever going to escape the downward spiral of your student loan debt. This was me in the 2nd year of PT school. I was naive during the first year of PT school. I had some savings and a scholarship to shelter me from truly understanding how expensive becoming a physical therapist would turn out to be. But, when all of my savings ran out, and my scholarship ended, I was left with over $50,000 in debt and zero savings or income to my name. And I wasn’t even close to finishing PT school! Anxiety started to grip me. I stopped hanging out with my friends because brunch and drinks felt to expensive. I secretly cried myself to sleep at night. I would look around at school, and no one else seemed to be feeling the same way as me. So I said nothing. Years later, I met up with some of my old classmates and it was only once they had started to hear my story did they admit that they too had these feelings. I’m here to tell you that you are not alone in your frustration, anxiety, or even depression from your current or potential loans! And this leads us to the first step in your PT debt free strategy. 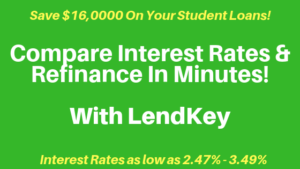 The first step, whether you are a new graduate or a seasoned PT, is to start being open about your loans with your friends, family, classmates and professors. You’ll discover that once you start creating a dialogue, you may have friends with whom you can share advice or fears with. Your parent’s will start understanding your change in behavior and become more supportive. Heck, they may even start helping you financially! And our PT schools will only start combating our student loan problems if they know there is a problem. Only when we all start rising up as a group against the absurd tuition prices compared to our salaries, will graduate schools recognize that a change must be made. I like to keep these posts short and actionable. If you are a physical therapy student, then I want you talk to 2 of your friends about your student loan fears. But, also talk about strategies. Then, I want you to walk with your fellow classmates to your dean or PT chairman’s office and have a sit down to discuss how you are feeling about your student loans and how this is affecting you as a student and also a future PT. If you are physical therapist, I want you call up some of your friends and ask them how they are tackling their student loans. Discuss with them what strategies have worked to combat their depression and burnout as well as how they are paying off their student loans. That’s it for today. I promise we will get into very actionable help and advice soon to help you create an amazing career as well as overcome your student loans. Look out for our next article, as I talk about understanding the real cost of your loans. This will help shock you into action! It is my goal to try to help as many PT’s pay off their student loans, overcome burnout, and become financially free! 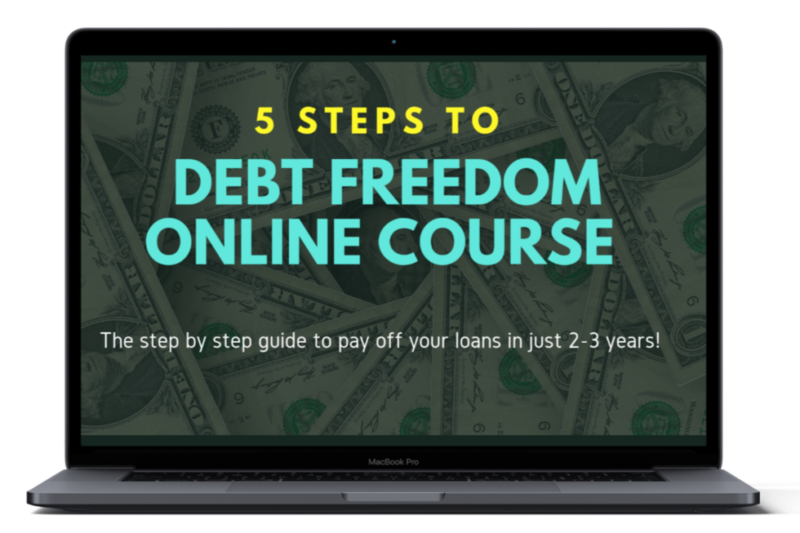 If you would like to get my step by step course on how to earn 6 figures as a PT and pay off your student loans in just several years then you can go to debtfreept.com/loans. 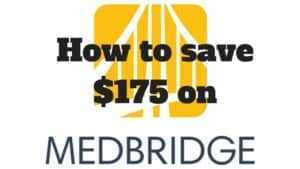 And special thanks to Medbridge for helping therapists save 40% on their CEU’s with code DEBTFREEpt or click here https://www.medbridgeeducation.com/debt-free-pt.